This was one of those times where I really just couldn't make up my mind on one color. 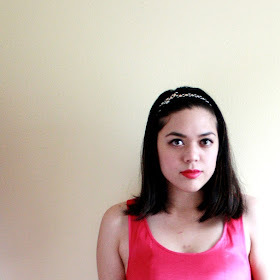 I wanted to do something bright and fun; something that reflected the summery weather and put me in a good mood. 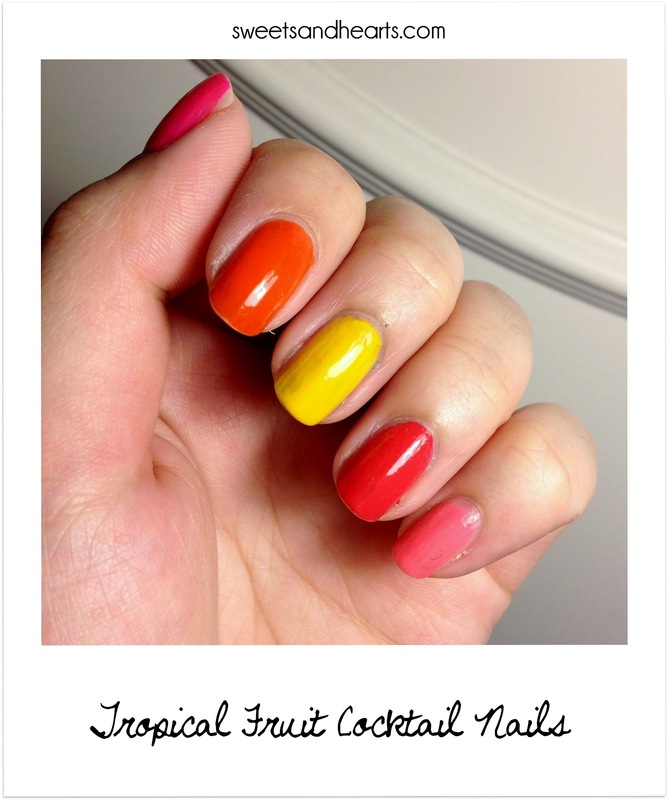 So I picked juicy, fruity solid brights! 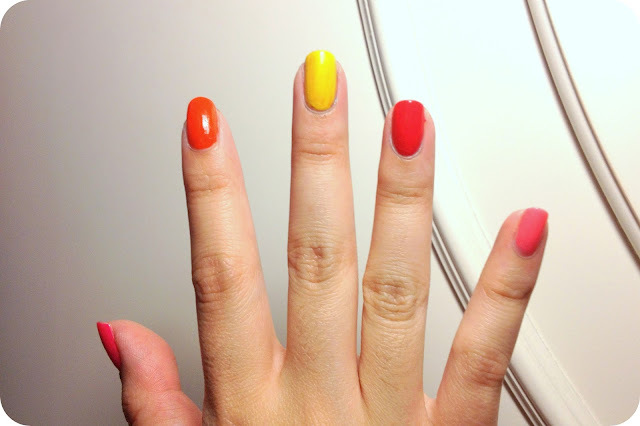 Just pick different shades of pink, orange, and yellow (red works too) and use one on each nail. I went with a hot pink (Urban Decay's "Woodstock"), bright tangerine (Urban Decay's "Magic Bus"), bold yellow (Love & Beauty's "Yellow" from Forever 21), dark coral (Urban Decay's "Psychedelic Sister"), and a carnation pink (by Goldie). The Urban Decay colors I used came in the Summer of Love nail collection from Summer 2011, so I don't think it's available anymore. If you can find it, get it! It has awesome colors. Two coats of each shade should suffice (three if it's a little streaky) for total opaqueness. Finish with a topcoat. What's on your nails right now? Are you loving the bright colors as much as I am?